Frances Spiegel has many years experience as an amateur performer. She is well-known to many of London's amateur companies, either participating in, or reviewing their productions. Frances Spiegel also writes travel articles exploring Europe and Canada, and is the author of Ride the Rocket - Toronto Enabled, a humorous autobiographical guide to Toronto. I write for many sites but Infobarrel is the best. If you'd like to join me sign up here. The Victoria and Albert Museum presents Russian Avant-Garde Theatre: War, Revolution and Design, 1913 - 1933. The exhibition looks at how war and revolution influenced art and design. Jointly curated with the A.A Bakhrushin State Central Theatre Museum, Moscow, the display features over 150 set and costume designs created between 1913 and 1933. Designs by prominent artists of the Russian avant-garde movement, such as Alexandra Exter, El Lissitsky, Kazimir Malevich, Liubov Popova, Alexander Rodchenko, Varvara Stepanova and Vladimir Tatlin, are on show. Most of the exhibits are on loan from A. A. Bakhrushin State Central Theatre Museum and St. Petersburg State Museum of Theatre and Music. Supported by the Russian Ministry of Culture, the display is the V&A's contribution to Russia Visualised, a year-long celebration of the UK-Russia Year of Culture 2014.
Credit: Copyright image courtesy of A. A. Bakhrushin State Central Theatre Museum, used with permission. These designs come from a key period in Russian culture. Between 1913 and 1933 the country experienced massive upheaval and changes brought about by the Russian Revolutions and World War I. Art, literature and music from this time reflects these profound changes. Theatre in particular underwent huge changes when new and adventurous productions called for innovative design solutions. Architects, textile designers, photographers and graphic artists worked together to find the answers. To give you a flavour of the exhibition I've taken a closer look at just three of the artists represented in the show: Kazimir Malevich, Alexander Rodchenko and Vladimir Tatlin, all leading figures in the Russian Avant-garde movement. 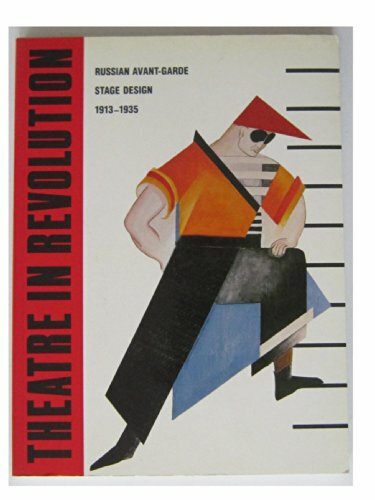 Credit: Copyright image courtesy of A. Bakhrushin State Central Theatre Museum used with permission.Russian Avant-Garde Theatre: War, Revolution and Design opens with set and costume designs by Kazimir Malevich (1879-1935). Exhibits include sketches and lithographs for the Futurist opera Victory Over the Sun which opened in 1913 at the Luna Park in Saint Petersburg. 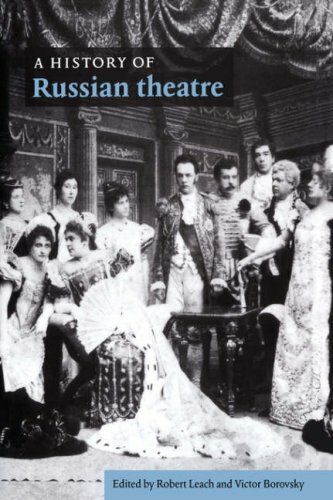 With music by Mikhail Katyushin, and libretto by Aleksei Kruchonykh, this production was not popular with audiences and many critics and historians took an active dislike to it. Also on display are costume designs by artist, designer and photographer Alexander Rodchenko (1891-1956). Rodchenko trained at the art school in Kazan, and together with his contemporaries Vladimir Tatlin and El Lissitzky, he was a key figure in Russian Constructivism. Credit: Copyright image courtesy of A. A. Bakhrushin State Central Theatre Museum used with permissionRodchenko's reaction to the Russian Revolution led him to abandon painting and fine art, preferring instead to use his art to serve industry and the state. His work included poster and book jacket designs, interior design, commercial products, animated film titles, furniture and stage sets. He created futuristic costumes for Vladimir Mayakovsky’s satirical play The Bedbug (1929, shown above), as well as some very striking brightly-coloured geometric costume designs for the Proletcult Theatre production We, later banned by the authorities. Credit: Copyright image courtesy of A. A. Bakhrushin State Central Theatre Museum, used with permission.The show also features costume designs for Life for the Tsar (1913-15) by painter/ architect Vladimir Tatlin (1885-1953), one of the most important figures in the Russian avant-garde movement. Tatlin, the son of a railway engineer and a poet, started out as an icon painter in Moscow, studying at the Moscow School of Painting, Sculpture and Architecture. He was also a skilled musician and performed professionally both at home and abroad. Vladimir Tatlin was a central figure in Russian Constructivism, a movement characterized by the use of industrial materials such as glass, metal and standardized metal parts. Tatlin is probably best known for his plans for The Monument to the Third International, the organization set up by the Bolsheviks to organize the activities of Communist movements around the world. In December 1920 a model of the building appeared at the VIIIth Congress of the Soviets. The building itself was never constructed. If it had been it would have dwarfed the Eiffel Tower. The design is an important symbol of Soviet Constructivism. 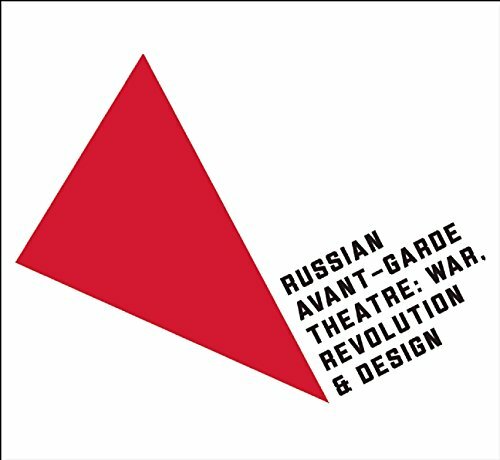 Russian Avant-Garde Theatre: War, Revolution and Design, 1913 - 1933 will be on show in the V&A Museum's Theatre Gallery from 18th October 2014 to 25th January 2015. Admission is free and further information is available from the V&A Museum. While you are visiting the Victoria and Albert Museum you could also take a look at the refurbished Jewellery Gallery (admission free) or the V&A's ticketed exhibition about John Constable and his work. If you're particularly interested in fashion history you could pop down to the Fashion and Textile Museum, not far from London Bridge Station, where they are showing a fabulous display of knitwear: Knitwear Chanel to Westwood. Ian Chilvers/John Glaves-Smith "Constructivism." Oxford Dictionary of Modern and Contemporary Art. 2009.